Sometimes, simply dieting and exercising is not enough to take care of waistline problems. In such cases, a patient may wish to consider a tummy tuck (or abdominoplasty). 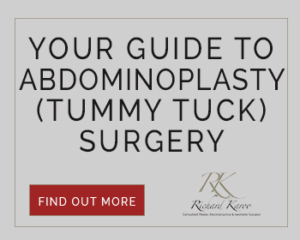 A tummy tuck is the surgical removal of excess skin or fatty deposits from the abdomen, along with the repositioning of abdomen muscles into a tighter and more contoured form. This body enhancement procedure is designed for those who wish to have a flatter and tighter stomach. It is also helpful in remedying the vertical separation of abdomen muscles known as diastasis, which can occur following pregnancy. 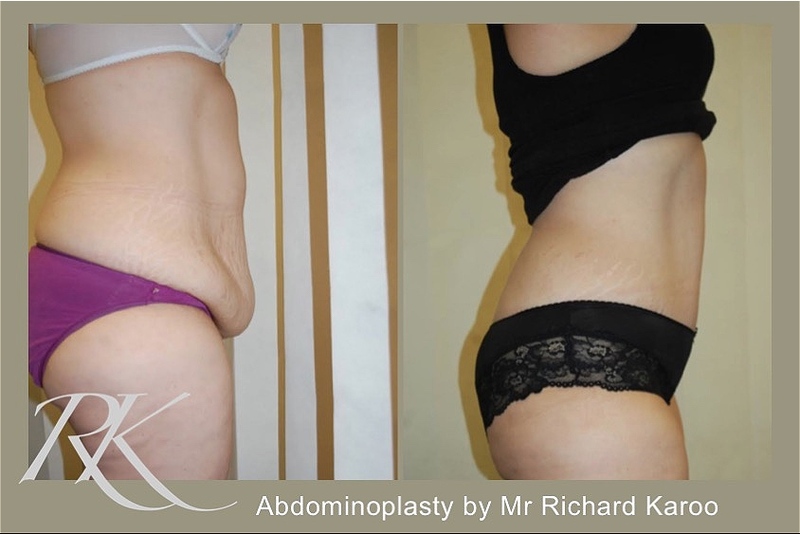 Abdominoplasty surgery lasts anywhere from one hour (mini-abdominoplasty) to three hours, depending on the desired look and the patient’s unique physiology. To begin the procedure, an incision is made just above the pubic bone area. This incision goes horizontally across the lower abdomen and sometimes around to the back. The skin is then lifted away from the muscle tissue, and excess skin is removed. The abdomen muscle is tightened to provide a firmly contoured stomach and well-defined waistline. Finally, the belly button (umbilicus) is repositioned, and the skin incision is closed. 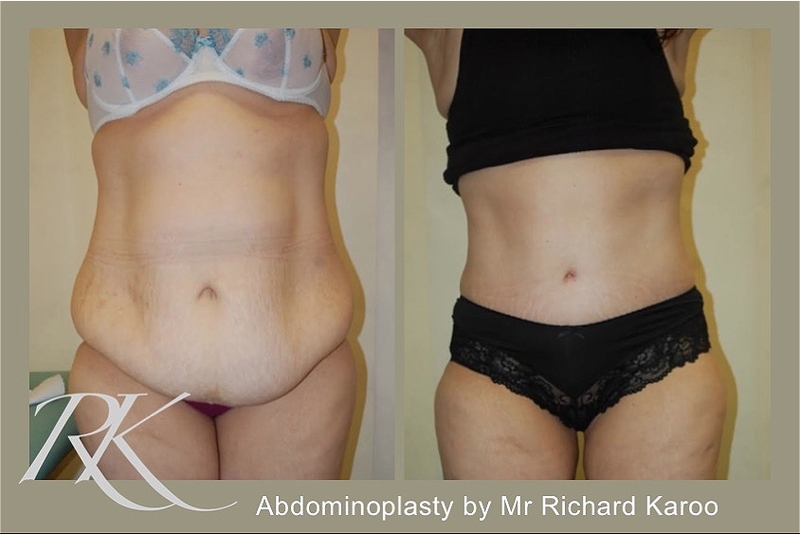 A mini abdominoplasty is for those individuals requiring a mild to moderate degree of skin excess removal from the lower abdomen without the need for the belly button to be repositioned. Generally, post-operative instructions call for plenty of rest and limited movement in order to speed up the healing process and recovery time. As the body recuperates, the patient can expect some swelling, bruising, and discomfort. Medication can be prescribed to relieve any pain caused by the procedure. The stitches, in general, are dissolvable apart from those around the belly button which will be removed one week after the surgery. Normal activities can generally be resumed within two weeks. A supportive abdominal garment is worn for several weeks after surgery. It may take up to a year for the body to completely adapt to the new abdominal configuration. With proper diet and exercise, the striking results of the surgery will be long lasting.